Vincent has always had a deep love of history which partly stems from listening to stories of his family history. At a young age, he began visiting local people to discuss colorful stories of Erath’s past. As a child, Vincent loved to ride his bike and spend the afternoon talking with elders about their lives in the small town. He was fortunate to be the backdoor neighbor of Clement Bourgerois, Jr. who devoted hours discussing Erath’s rich history with him. They shared a love of history and became fast and lasting friends. Vincent began preserving much of Erath’s history because of “Mr. Junior’s” mentoring, an effort that continues to this day. Vincent’s involvement with the Acadian Museum started from its founding. Museum founder Warren Perrin was renovating the old Bank of Erath building in downtown Erath to serve as his Erath law office. Ten-year-old Vincent would stop by the building every day to check on the progress on his way home from middle school. Once it was renovated, Perrin opened his office, decorating it with a few donated antiques, and it was thus that the Acadian Museum was born. Vincent would stop by each day to see what new items were collected and would help to set up new displays or ride his bike to pick up other donations. At this time, Robert was wearing casts on both legs. Due to his muscular dystrophy, he required several surgeries that allowed him to continue to walk, but wearing casts did not stop Robert from doing what he could to help the museum grow. Perrin and Vincent were aided in the initial setting up of the museum by a kindly, older gentleman driving a motor home from Canada, Wilfred Doucet, a retired BBC cinematographer. The three worked tirelessly to design the museum in a way that told the story of the Acadian people and the history of Town of Erath. Today, over 5,000 artifacts of Acadian and Cajun history have been collected and are on display. Vincent became the museum’s youngest board member and has continued to serve on the museum’s board of directors since then. He serves as chairman of the museum’s annual fundraiser which has raised thousands of dollars to secure the museum’s future. He is also the museum’s expert “go to” person when questions arise about the late Senator Dudley J. LeBlanc and Hadacol. Vincent and another Erath historian, Stacy Bodin, both share a love of Erath’s history and the photographs that record that history. When Hurricane Rita struck in 2005, the museum, Vincent, and Bodin all lost photographs to the flood waters, so they decided that Erath’s pictorial history should be preserved digitally to be available for future generations. They began scanning photos from the museum's and their own collections. Over the years, they have scanned thousands of photographs that are now saved digitally. These photographs can be accessed on the Erath Echoes Facebook page they established (https://www.facebook.com/TownOfErathsHistoricalSite). In 2014, Robert and Stacy teamed up again to preserve the story of the 1964 collapse of the Erath water tower. The collapse was deemed Erath’s “Tragedy of the Century,” claiming the lives of eight civil defense servants when the tower fell on city hall during Hurricane Hilda. Robert and Stacy created a documentary, complete with eye witness testimony and footage of the water tower tragedy. The documentary was shown October 2014 in Our Lady of Lourdes Catholic Church in Erath after a Mass of Remembrance with many of the family members of the victims present. The story of these men’s sacrifice will not be forgotten with time because of their hard work and dedication. Vincent continues to be very active in his community. He is a graduate of Erath High School, UL Lafayette, and Southern University Law Center. 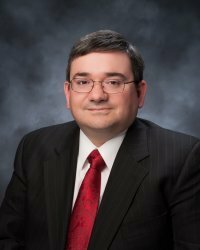 He is currently an attorney who practices law in his home town of Erath, is in his second term serving on the Erath City Council and is the longtime President of the Erath 4th of July Association.